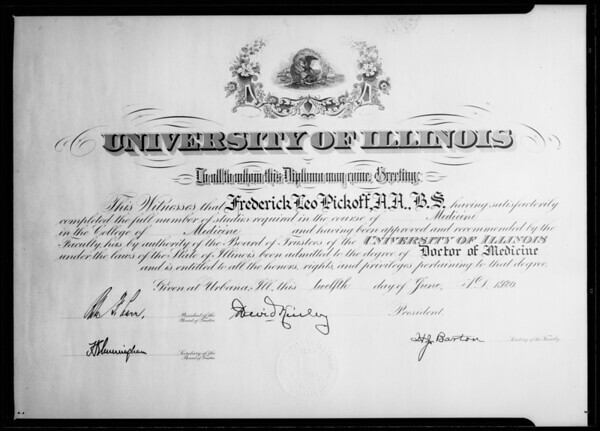 Photograph of doctor of medicine diploma, Southern California, 1936. "Subject: copy of diploma "M.D." 193612301DW19360217123DW1936021712301Degrees AcademicPickoff Frederick LeoKirley DavidBarton H. J.